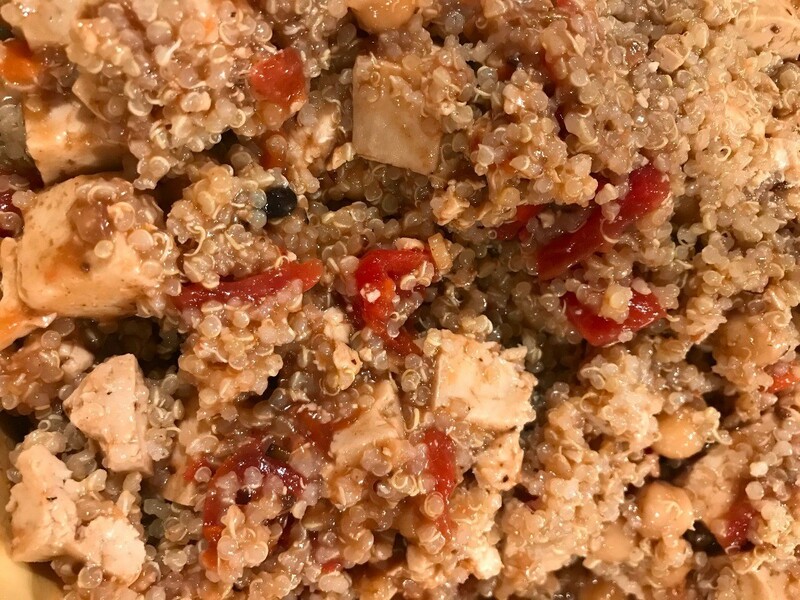 Try this vegetarian tofu bean dish with a garlic, ginger, and tomato sauce that goes great over quinoa. 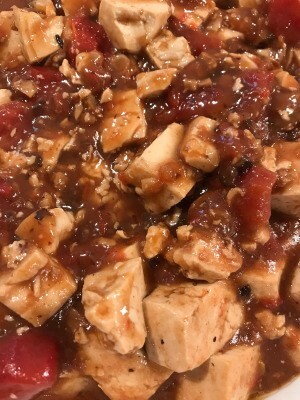 This page contains a mapo tofu recipe. This is an easy meal to whip up for lunch or dinner. We commonly eat quinoa tossed with some garbanzo beans and this mapo tofu. This recipe is full of proteins and affordable. 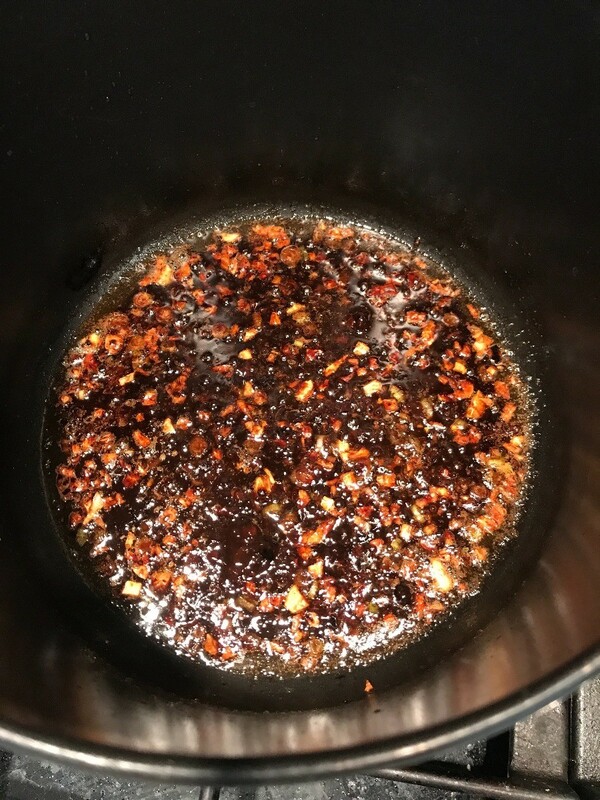 Mince garlic and ginger. Drain and cut tofu into 1 inch cubes. In a large skillet over medium heat, add olive oil. Add a little bit of garlic and ginger and stir fry for 1 minute. 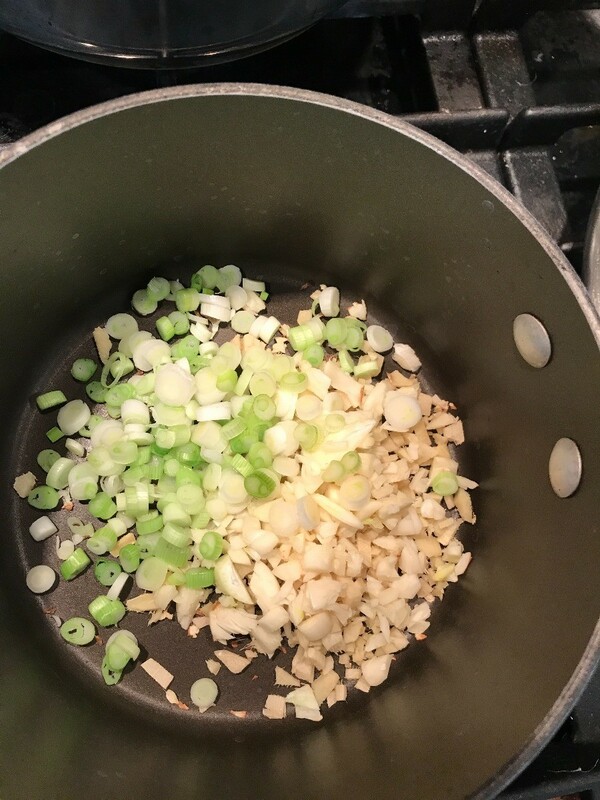 *Green onions if you want. I had them left over from a previous meal. Add remaining garlic and ginger. 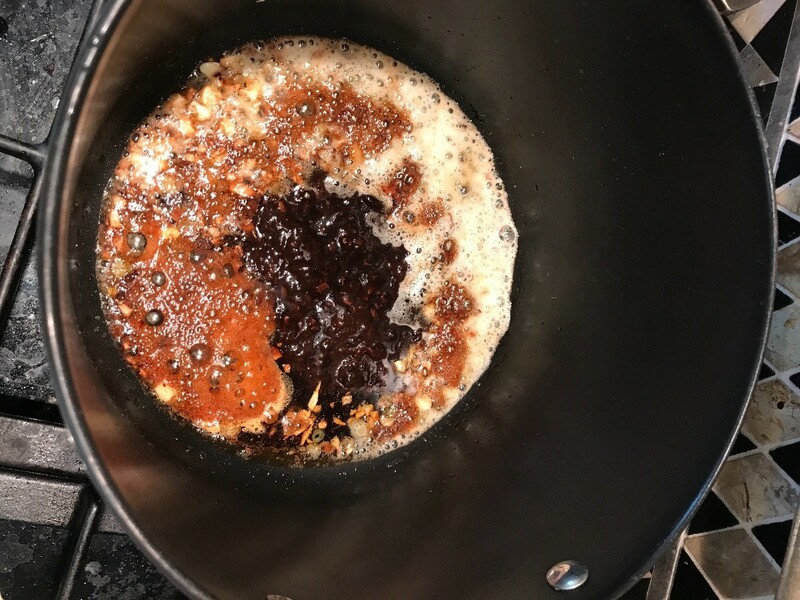 Add water, mirin, soy sauce, sesame oil, honey and black bean sauce. Add tofu to the skills and allow to simmer for a couple of minutes. Add diced tomatoes. Then, add cornstarch and cook for about a minute, or until thicken. Separately cook quinoa (your desired amount, or left over quinoa). Toss mapo tofu with quinoa and garbanzo beans or eat tofu as a side.